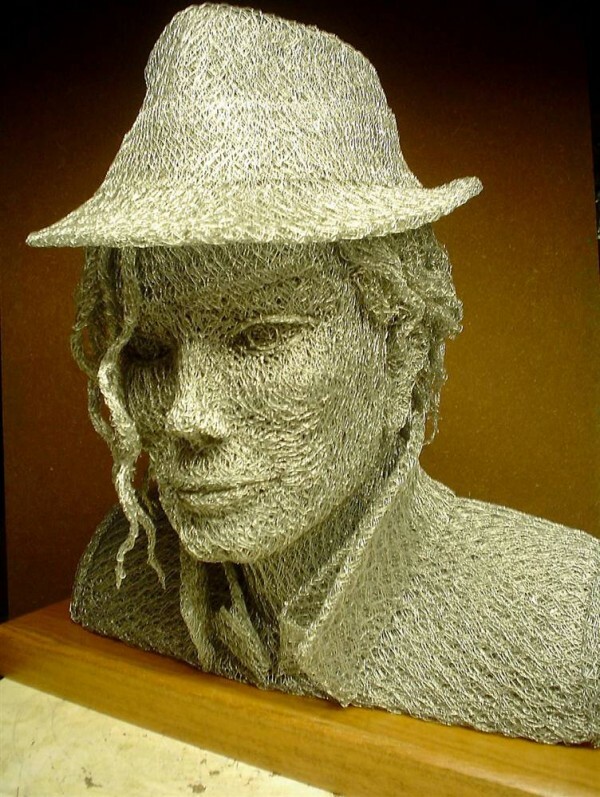 We may have lost the King of Pop in the summer of 2009, but his music lives on, as does his likeness, now preserved in chicken wire. 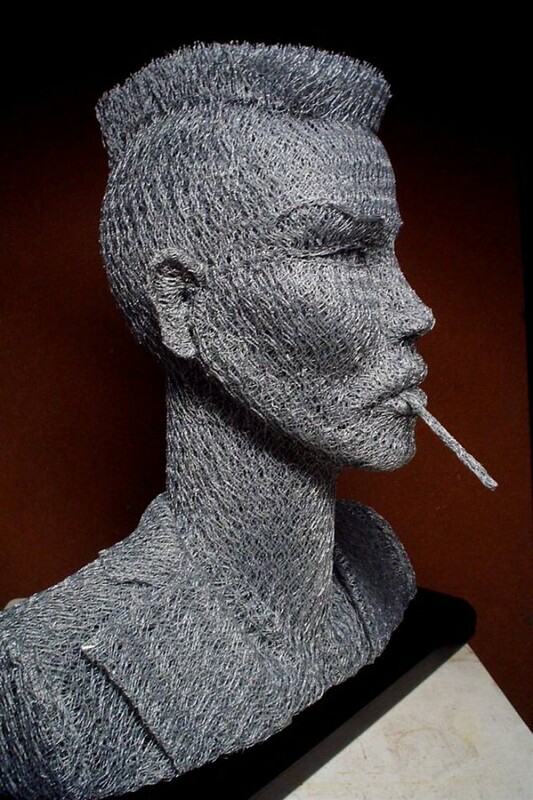 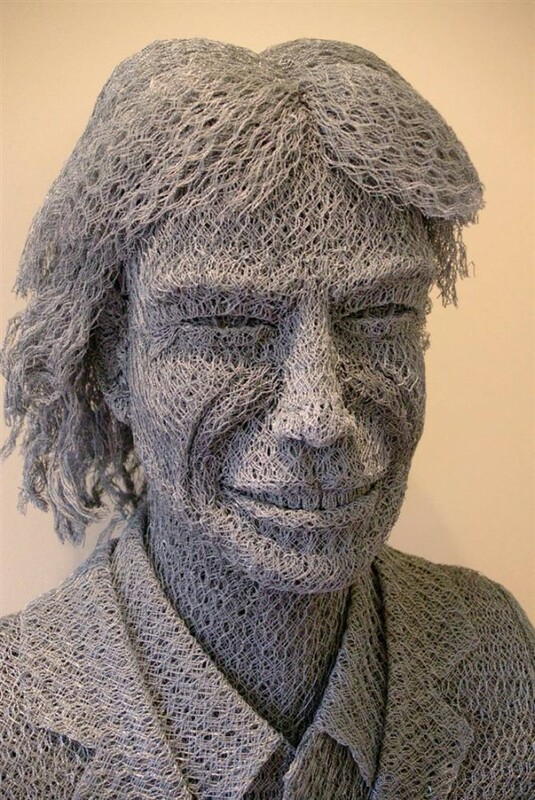 Artist Ivan Lovatt makes remarkably lifelike sculptures of famous folks, icons and wildlife out of material so paltry it’s usually reserved for poultry – chicken wire. Here, the father of relativity is lovingly rendered in chicken wire. 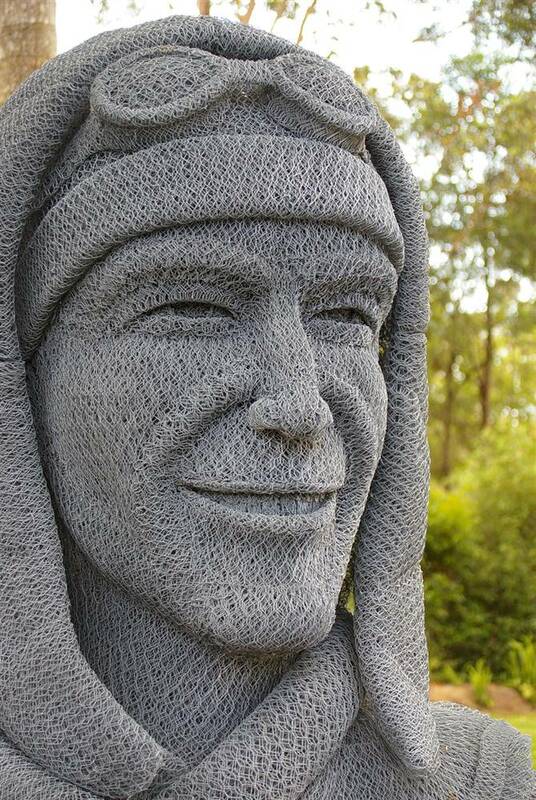 What better way to honor the fabled New Zealand mountaineer, explorer and environmental champion than to recreate his likeness in wire fencing? She’s posed for fashion magazines, recorded hit records and even battled James Bond, but here she is immortalized in the finest of sturdy barnyard materials for posterity. 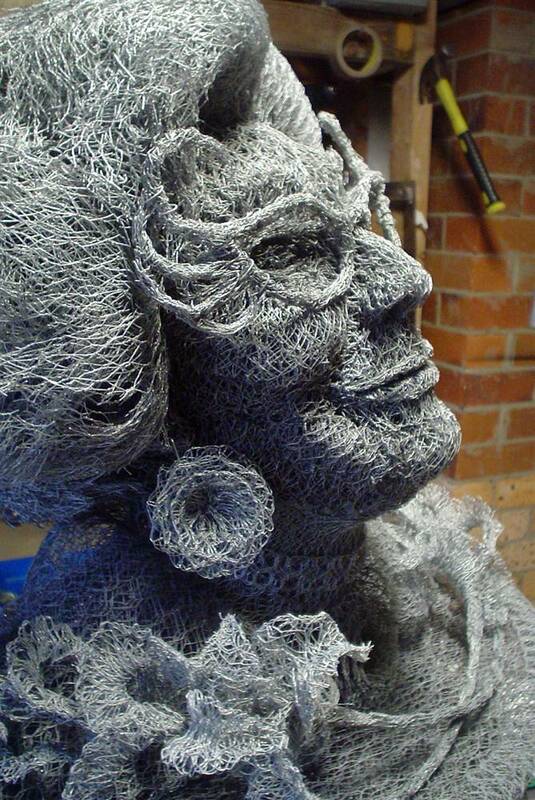 Australian comedian Barry Humphries’ beloved character, Dame Edna Everage. 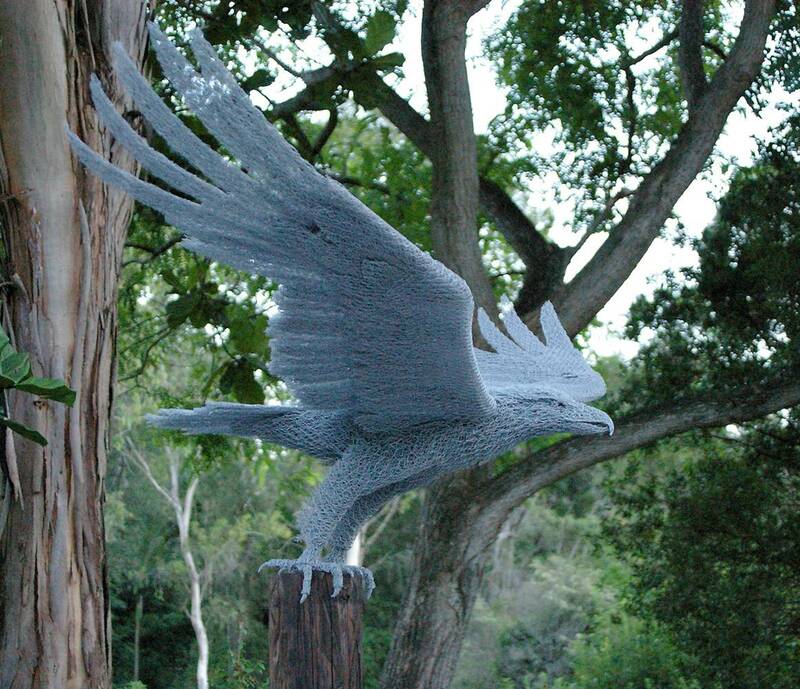 Perhaps her boa includes some actual chicken feathers. 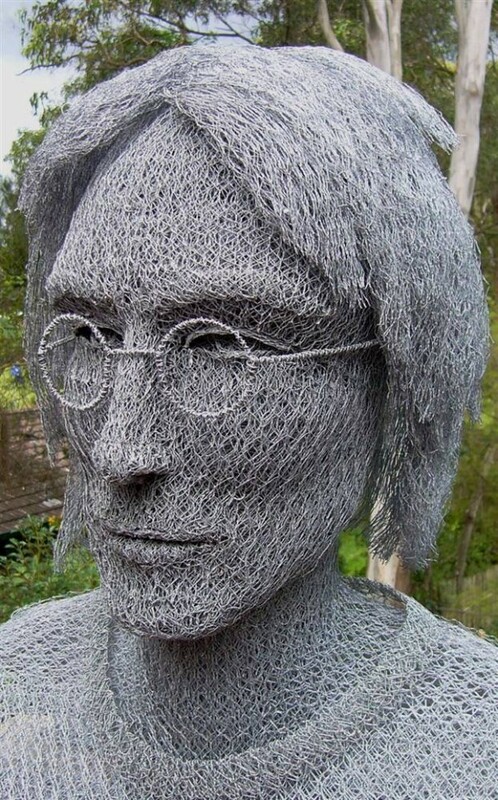 The fleet-fingered guitar legend finally gets his posthumous due as a chicken wire sculpture. 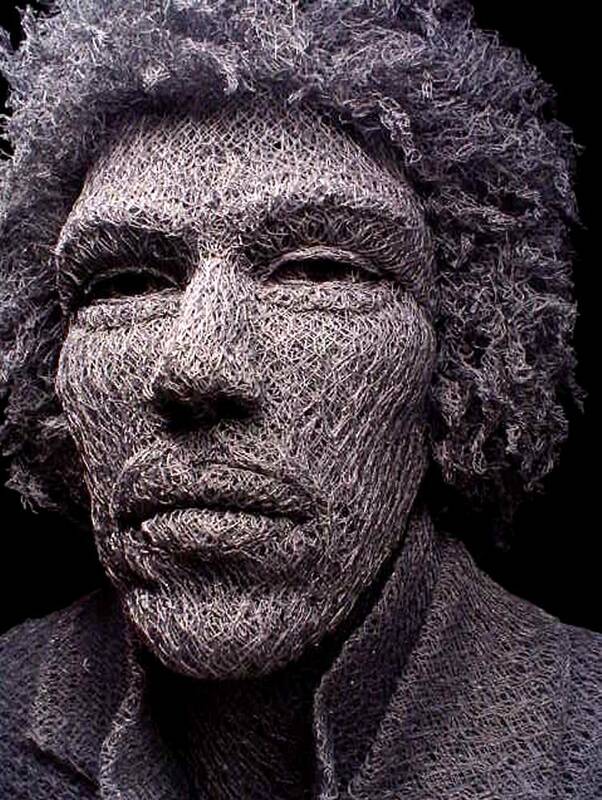 The mouthpiece of the Rolling Stones may have been knighted in 2003, but you know you’ve really made your stamp on the world when someone sculpts your face out of chicken wire. 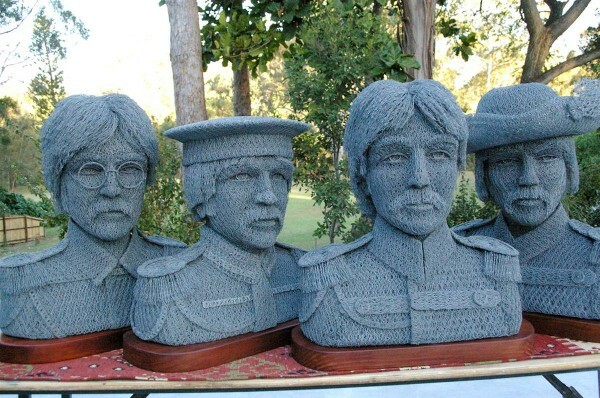 As one quarter of the Beatles, John Lennon inspired a generation and helped define rock ‘n’ roll as we know it. 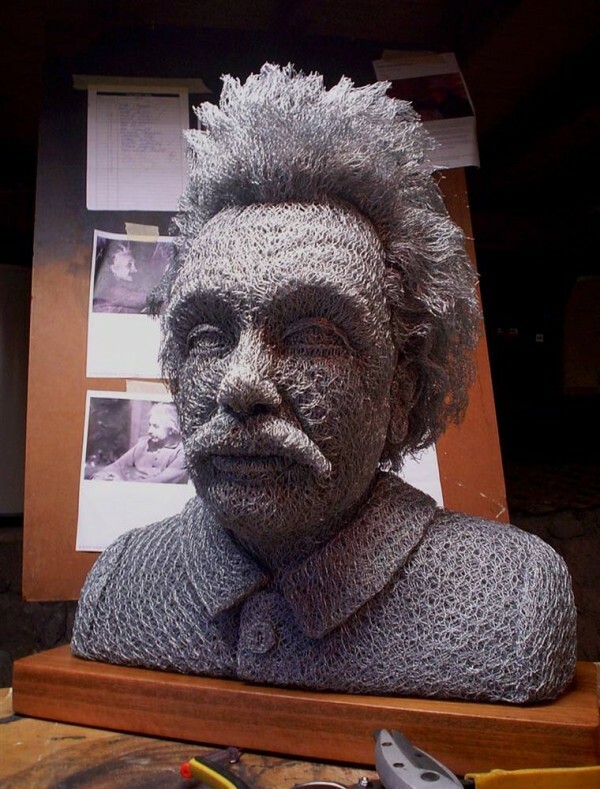 It’s fitting, then, that he should be canonized in chicken wire. Depicted during their Sgt. Pepper era, the Fab Four is captured in all their epauletted, facially hirsute glory. 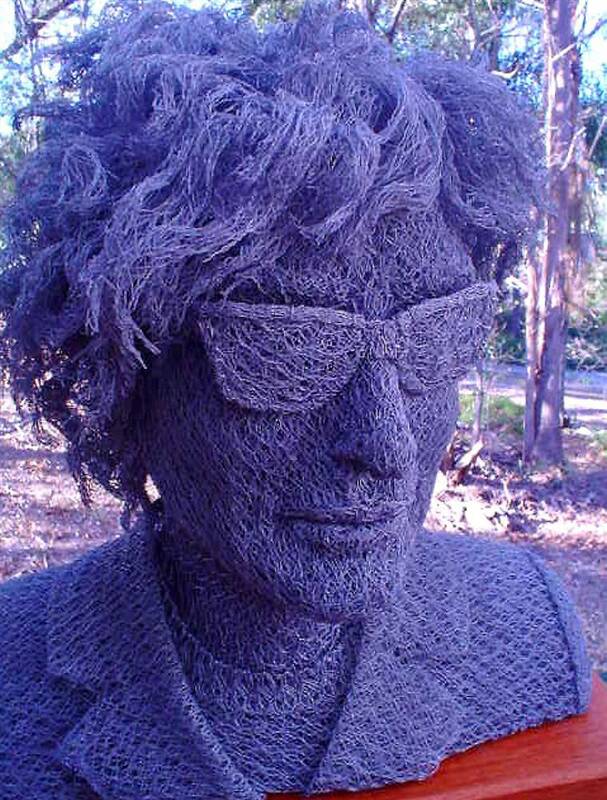 Having introduced both profound poetry and a keen social conscience to rock n’ roll in the 1960s, Bob Dylan gets the Lovatt treatment, looking suitably cool and wiry. Twelve slides in and what’s this? 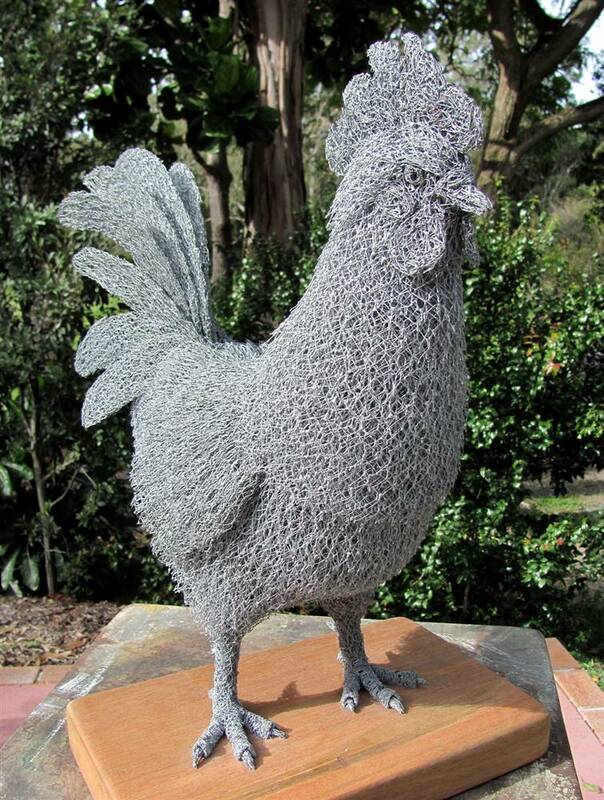 Yes, it’s a chicken made of chicken wire. Who saw that coming? 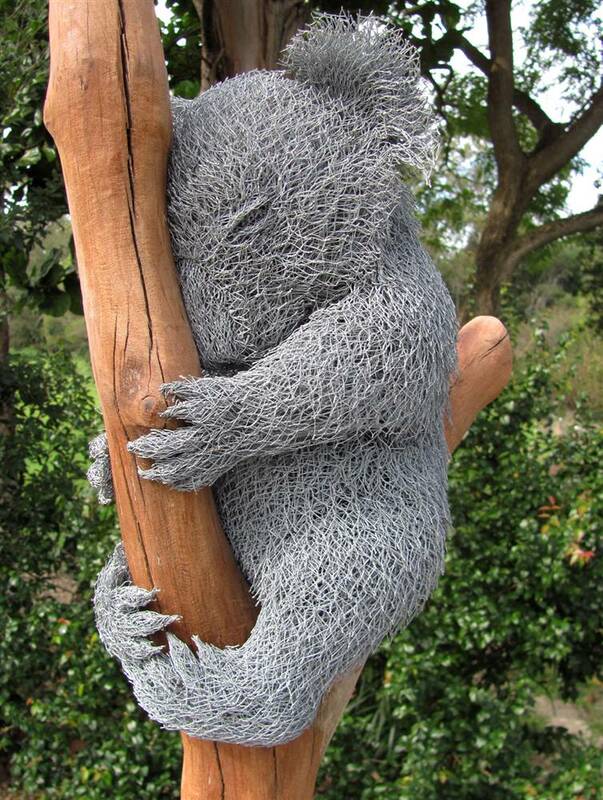 Here, Lovatt creates a cuddly koala bear, clinging tenaciously to a tree.